Take the PowerPoints out of team building. By Renae Reints·	 10/24/2017, 2:56 p.m. Team building exercises involving PowerPoints and icebreakers are fine and dandy, but if you’d like your company to really come together, blurting out fun facts may not cut it. It turns out team building activities in Boston can range from chocolate-making to mystery-solving, if you know where to look. 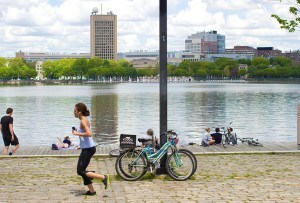 Here, find five truly unique team building experiences in the city. Boda Borg is a Swedish company offering real-world gaming experiences dubbed “quests.” Nearly twenty different rooms within Boda Borg’s Malden facility offer new challenges to work together and get creative. 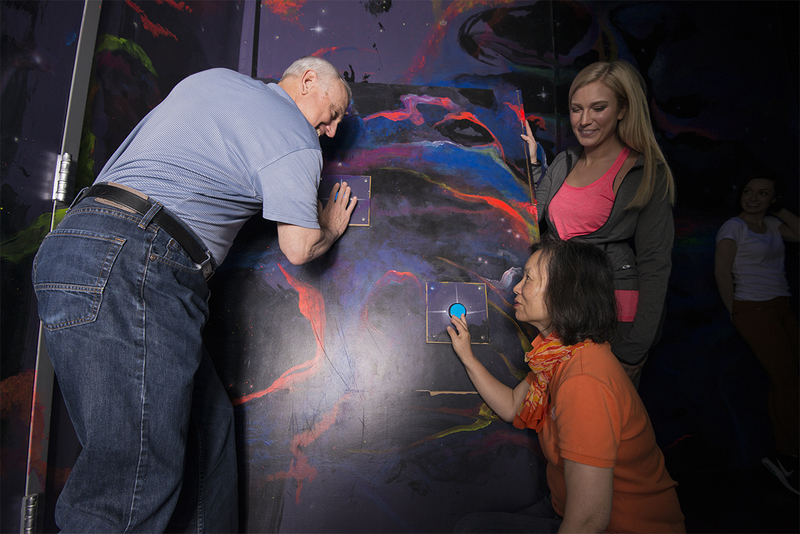 Teams of three to five choose a door, enter a room, and determine the objective. But questers have to be quick—there are only a few minutes to complete the quest before being kicked out of a room. Themes vary—you could find yourself in a jail cell, a TV game show, a farm, or even a house where you’re transformed into a giant rat and have to compete to survive. Maybe the floor is lava and you have to cross the room without touching the floor, or maybe you just have to reposition a few objects in the room. It’s possible a room could be a giant obstacle course, demanding ninja-like abilities. Every quest is different, requiring different skills to succeed. Entry doors to each quest are colored green, red, or black. The colors display the quest’s difficulty level in terms of physical exertion. Green requires no strenuous physicality, so individuals with physical handicaps can easily participate. Red is intermediate, requiring exertion roughly equivalent to exploring a playground. Black is everything else, including difficult obstacle courses. Participants can always see what’s ahead, and always have the option to exit. No matter the physicality, quests require teams to work together to determine the room’s objective. On average, teams fail a quest more than ten times. Each time they exit and reenter, they’re learning a little more about the room, and a little more about their teammates as well. “Failing is such an important part of any functional team,” says Ellis, adding that Boda Borg allows you to see how your coworkers react to frustration and new experiences. Beyond questing, Boda Borg offers a variety of packages that include meeting space and catering options. An all-day team development package includes questing with a professionally led learning module. Companies can choose from a series of topics, including communication, negotiation, team building, understanding conflict, and the Myers-Briggs type indicator. Starting at $4,500 for 12 guests, the package includes meeting space, meals, questing, and the facilitated lesson. 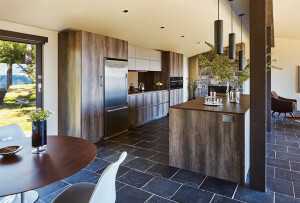 Up to 40 guests can be accommodated for an additional cost. Boda Borg is planning to change and update five of their quests over the next year, and hopes to expand when new real estate becomes available. 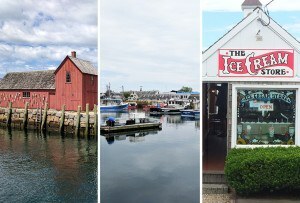 $20/person for two hours of questing, $30/person for all-day questing, 90 Pleasant St., Malden, 949-230-1166, bodaborg.com. Photo courtesy of the Murder Mystery Co.
That’s how Murder Mystery Co. owner Scott Cramton describes his company, which provides theatrical experiences for groups looking for a night of investigation and entertainment. You choose the venue and whether or not you want to hire your own catering. Then, once you decide on the theme of the evening—masquerade, 1980s, Roaring Twenties, Hollywood, or another event—Murder Mystery Co. will help with the rest. The night of the mystery, the company’s actors facilitate the experience and encourage interaction. You and your employees play the suspects, detectives, and extras. Through reading the body language and personalities of guests, the professional actors determine who should play what role, aiming to make sure everyone has fun without being pulled too far out of their comfort zone. Hats and light costumes delegate character roles. Guests work together in table teams, consisting of eight to ten people, and every team is given information on their role or character. At the start of the experience, someone will “die” (comedically, of course), and everyone present is tasked with solving the murder. Throughout the next two hours, the table teams need to mingle with and question their coworkers to discover the identity of the murderer. With Murder Mystery Co., everyone participates. If you’re shy, you can play a minor role and work closely with your table team. If you’re outgoing, let the actor inside you take center stage. No matter one’s background or skill set, the murder mystery facilitates interaction and cooperation—with a little bit of theatric deception, of course. Your employees will get to know each other with the roles of the office stripped away, and these connections can translate to the workplace. 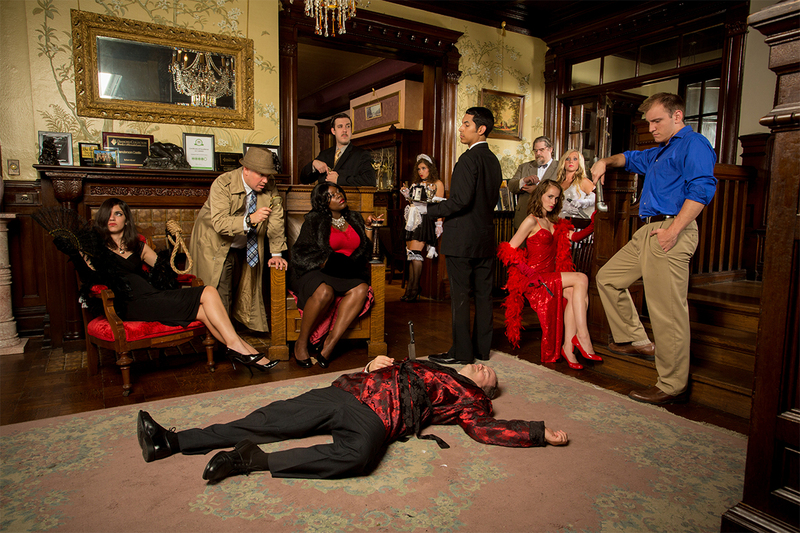 Murder Mystery Co. can facilitate experiences for groups of any size, with pricing ranging from $350 to $2,000. The average evening includes two professional actors for $600. While the company is based in Michigan, they have a troupe of 100 actors in Boston ready to get your team working together. Prices vary, choose your own venue, 888-643-2583, grimprov.com. Escape rooms are a growing trend—people seem to love getting locked up, finding clues, solving puzzles, and escaping. There’s something empowering about that possibility of success, however slim it may be. At Trapology, the escape rooms are all designed and built in-house, with teamwork and communication in mind. The experience forces individuals to ignore the hierarchy of the office, and everyone can contribute to finding the solution, regardless of their job title. Three different escape room experiences are available: Drunk Tank, the Hustler, and the Retreat. Each have their own unique storyline, but all have a success rate under 30%. Trapology has the most challenging rooms in Boston, forcing participants to truly embrace teamwork if they’re to succeed. Regardless of the bizarre or spooky situation, participants must work together to solve the puzzles and get out within the hour. If you haven’t succeeded after 60 minutes, Trapology is obligated to release you, but they’ll walk through the solution to calm your curiosity. Each game can hold up to ten people, except the Retreat, which holds five. In an effort to serve those who want to host larger parties, Trapology is constructing three new rooms at the same location, which Loeb hopes will be open by springtime. If you want to host a larger corporate event at Trapology, there’s a larger lobby space that holds up to 40 people. You can rent out the whole facility, bring your own caterer and bartender, and entertain those waiting to experience the escape rooms. Prices start at $2,400 for a three-hour rental. If that’s not in your budget, Trapology recommends you bring your employees to play the rooms at public pricing, and then head downtown for dinner or drinks. $30/person for Drunk Tank or the Hustler, $33/person for the Retreat, 177 Tremont St., second floor, Boston, 857-285-2085, trapologyboston.com. Since 1998, the founders of the Improv Asylum in Boston’s North End have been bringing comedy and team building to both the city and the world. IA Innovation, the Asylum’s corporate training division, uses the techniques of comedy to teach leadership, collaboration, presentation skills, and more. One exercise involves an individual starting a word they have in their head and having their partner finish it. The first person might say “cray,” thinking of the word “crazy,” but their partner says “on,” making the word into “crayon.” Exercises like these show your employees that ideas are meant to be molded and built upon. If everyone is contributing in the workplace, small points can become bigger and better ideas. Through the Improv Asylum’s training center, IA Innovation has up to forty instructors ready to go in Boston. Other alumni of the training center help the company run training experiences across the country and around the world. 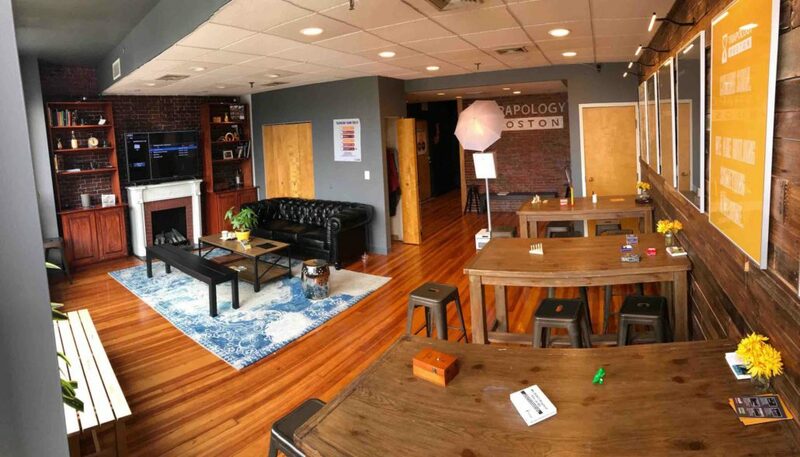 You can choose your own venue, or rent one of IA Innovation’s partnered spaces: Improv Asylum in Boston’s North End, or Laugh Boston in the Seaport. No group is too large—IA Innovation recently held a corporate training event for GameStop in Las Vegas that included 5,000 employees. Of course, the size of the event affects the cost. Aware of budgeting differences for newer versus more established companies, IA Innovation builds their price point based on the type of the event and the client’s budget. They offer a variety of training services, but their Signature and Off Keynote programs are the most popular. Soon they’ll have a Diversity and Inclusion program, which aims to bring people together and discuss commonalities, leading to a stronger team. Across the board, IA Innovation’s programs aim to open communication and teach employees to listen to one another. Prices vary, choose your own venue, 508-726-1968, iainnovation.com. Probably the tastiest of all team building opportunities, Boston Chocolate School offers two corporate events: Team Chocolatier and Chocolate Company Challenge. 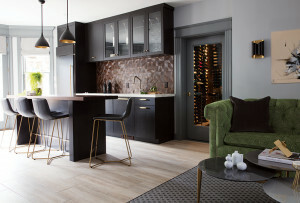 Each can be hosted at any venue of your choosing, or you can request the Chocolate School book a private dining room at the Elephant & Castle Restaurant in Boston’s Financial District, with the option of a full bar serving chocolate cocktails and wine pairings. No matter the location or the event, there’s guaranteed to be plenty of chocolate to go around. Team Chocolatier offers the opportunity for you to learn from the school’s master chocolatier. You’ll learn how to make chocolate truffles filled with anything from champagne cream to chocolate peanut butter, all while collaborating with your coworkers. Attendees will be divided into groups and given a golden ticket with their chocolate mission statement and target market listed. Then, using their newly acquired truffle-making skills, each team will need to create a box of chocolates for their specific consumer market. This challenge includes brand identity, marketing slogans, and shelf-worthy packaging as well as tasty chocolates. Your employees will have to share ideas and work together to win, all while learning the ways of the master chocolatier. 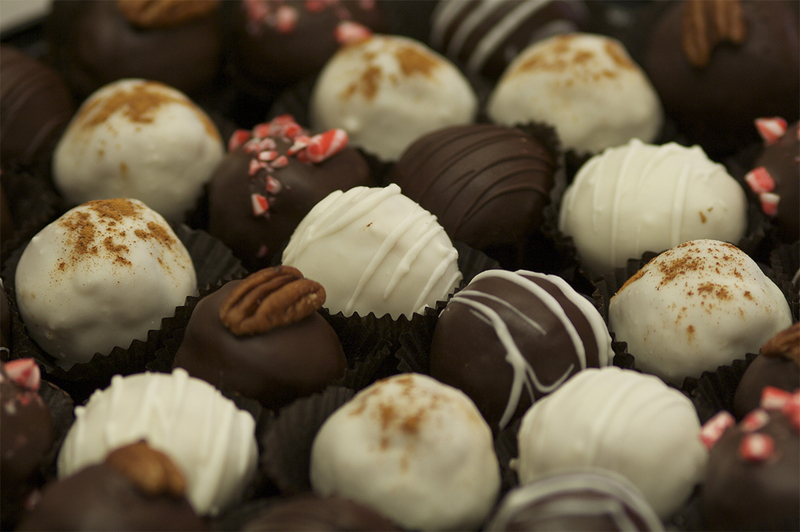 No matter who comes out victorious, everyone will leave with boxes of their own handmade truffles. For corporations with even more of a competitive edge, the Chocolate Company Challenge has teams using both their intellect and their design skills. Teams will first have to answer chocolate trivia and compete in chocolate bingo to earn actual candy. The earned chocolate will become the building blocks of the next challenge, where teams have to build a chocolate tower and bridge. Bottles of Yoo-Hoo chocolate milk are stacked to test durability, and the team with the strongest structure wins. If you and your employees have a sweet tooth, Boston Chocolate School will give you an environment in which to build company morale, increase communication, and strengthen relationships. Both team building options start at $2,000 for groups of 8 to 10 people, and the cost increases based on group size. Starting at $2,000, choose your own venue, 617-426-1999, bostonchocolatetours.com.